EDITOR’S NOTE: In 1998 Universal purchased Wet ‘n Wild, then in 2013, the land where Wet ‘n Wild sits was purchased by Universal. Owning the park and land opened the way for Universal to consider updating this water park or building an all-new one – Volcano Bay. This new Universal water park is expected to open in 2017 at which time Wet ‘n Wild will close (at the end of 2016). Enjoy it while you can! Wet and Wild is Orlando’s oldest water park, however it has consistently added new water thrill rides. If your main attraction to a water park is thrill rides then Wet and Wild is without a doubt your best choice in Orlando water parks. Many discounts are available for Wet and Wild, but with a gate price of $56 it’s still a good deal. My suggestion is to save some cash. Ticket resellers will offer Wet and Wild Tickets under gate price. 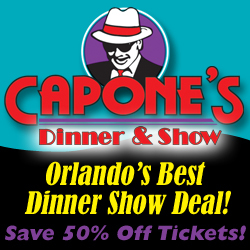 They also have discount coupons in many of Orlando tourist magazines. Florida and Orlando residents may be well served to pay gate price, because towards the latter part of the year, you may get the rest of the year for FREE (excludes special events). Wet and Wild also offers a tamer side with a beach and poolside areas to enjoy the sun plus a HUGE wave pool. There are also areas devoted to younger children with much milder water fun. Wet and Wild is a great daytime event!